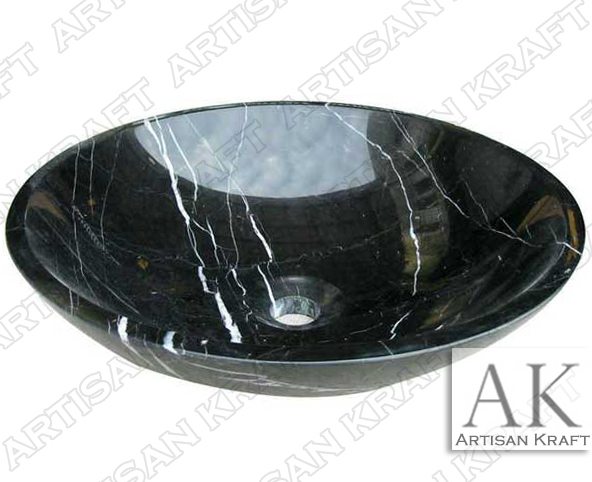 Black forest marble has bold white streaks racing through it. The black forest marble makes anything look great that is craved from it. This simple round bathroom vanity sink is a great example. Carved from solid stone it has white veining. Artisan Kraft vanity bowls come with a per-cut hole in the bottom for the drain.